Scott Folkens received $1,000 in donations on this day. Scott Folkens received $400 in donations on this day. Scott Folkens received $2,100 in donations on this day. 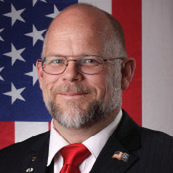 Scott Folkens has passed the 2010 Political Courage Test. Scott Folkens received $3,000 in donations on this day. Scott Folkens received $1,100 in donations on this day. Baca Jr. High School? Can You Say Political Favors? Scott Folkens received $1,600 in donations on this day. Blog: 3 Days -- 3 Positive "Articles"
Scott Folkens received $500 in donations on this day. Scott Folkens received $700 in donations on this day. Scott Folkens received $440 in donations on this day.